The Rotary Club of Warrensburg recently received the attached letter from one of our past RYE students. I believe this letter embodies RYE better than anything I have ever heard. I also believe it epitomizes one of our reasons for existence as Rotarians. 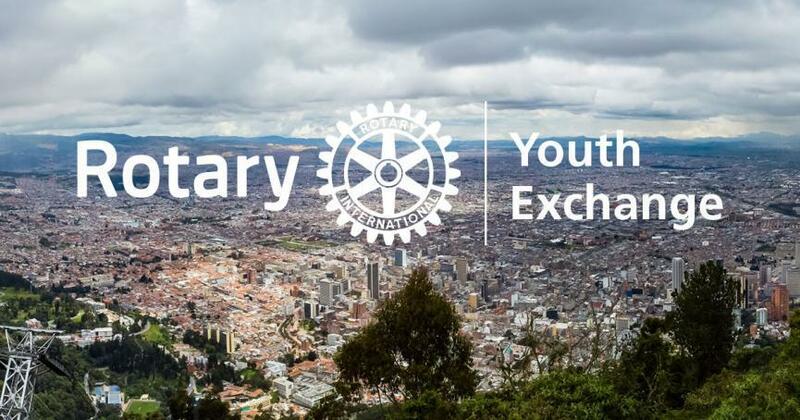 As one of your former Rotary Youth Exchange students to Colombia in 2011-2012, I would like to thank you for the opportunity you gave me and explain a few of the ways it forever changed my life. In high school, I never knew a study abroad was a possibility, until a teacher mentioned the Rotary Youth Exchange program (RYE). With great excitement and anticipation I began to prepare to leave for my senior year–embarking upon, still to this day, the biggest adventure of my life. I’m continuously realizing how much the experience has taught me. Rotary prepared me, encouraged me, and empowered me before my departure. RYE began a new mindset for me, it reshaped who I was, how I viewed the world, and brought me lifelong friendships with memories irreplaceable and unique. Learning Spanish opened a door to a whole new world for me, which would spark my passion to learning new languages; eventually leading to learning French and beginning Arabic. I saw firsthand the power of Rotary during my year in Colombia, through volunteer work, as well as the $500 grant this club gave me to use as I saw fit; which finished the purchase of a van used for transporting kids with various disabilities. Along with amazing community members, I met Rotary Youth Exchange students from every corner of the world; I got to hear their stories and dreams, and it created a network for me I’m still thankful for everyday. It has become obvious over the years what sets Rotary, and Rotary Youth Exchange, apart from other organizations. Rotary has managed to keep its core values present, maintain integrity as a whole, and its mission simple yet extremely effective; I am very proud to have represented your organization. To complete requirements for my undergraduate studies I fulfilled a semester study abroad in Morocco, which I cherished and enjoyed every second. I would find myself from time to time comparing it to my study abroad with RYE. With Rotary I was taught to make the best of every situation, to immerse myself into new worlds, and become a better person everyday. My study abroad in college was run more like a business, and I missed the feeling of immersion, which was the type of experience I had with Rotary; however, I brought my previously learned adaptability and optimism to the experience. I felt a lack of purpose in comparison, as service to others was not a component within this experience. The culmination of these feelings, being inspired by my Rotary Youth Exchange, and examining what I want the trajectory of my life to be, I decided to pursue a position as a Peace Corps Volunteer. After graduating from Mizzou, with a Bachelor of Arts in International Studies and a Multicultural Certificate, I became a substitute teacher at Warrensburg High School before applying to Peace Corps last January. This past summer I taught English as a Second Language in Washington DC, Boston, and New York City. This aided in the competitive application process applying to be an ESL teacher in Panama. I interviewed for the job in August and heard back a few weeks later that I had been accepted. I am very much looking forward to my experience, and am always reminded of where it all began. The Noon Rotary Club opened doors to my life purpose, and I will never take that for granted.